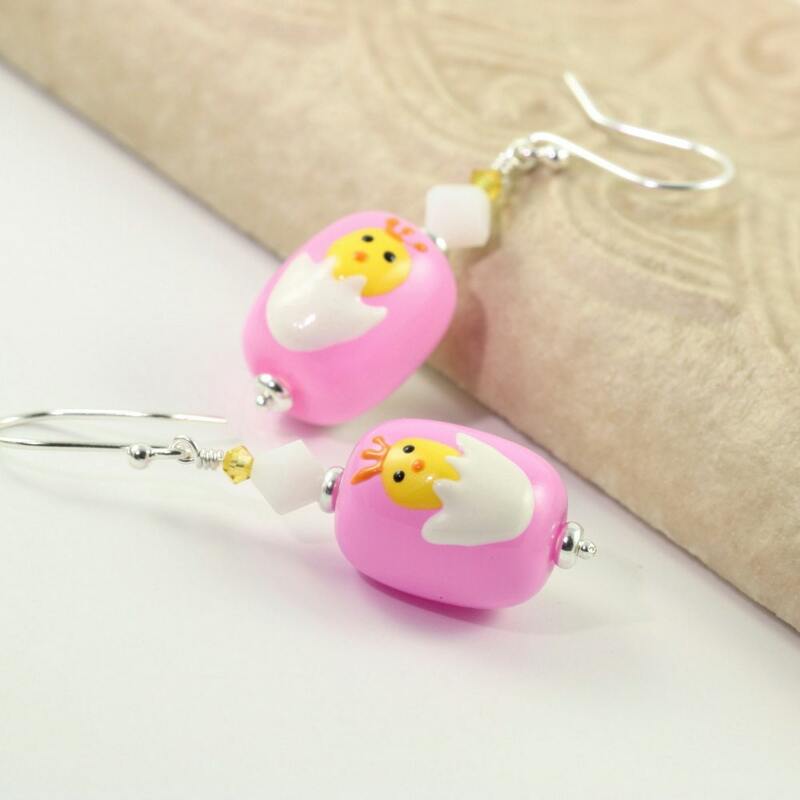 Easter earrings made with a sweet little chick peeking out of an egg shell on an Easter egg shaped glass bead. I just added yellow and crisp white Swarovski crystals to bring out the spring colors and hung them on dainty sterling silver ear wires. Earrings are 2 inches long or about 51 mm. One of my favorite local artist and the work shows again in these beautiful earrings.